QUESTION TIME | One of Prime Minister Dr Mahathir Mohamad’s huge failures during his previous, rather long 22-year tenure was the country’s first national car project, Proton. This left Malaysians paying ridiculously high prices for substandard cars because of massive tariff protection and losing several hundred billion ringgit through these higher prices paid for cars. Thus, his new national car idea is a colossal mistake. This is especially so because Proton is still a national car project, and there is a second car project already which is Perodua. “I would say, if I cannot get Proton (back), I have some idea about starting another automotive (company), remembering of course, that the idea of building a national car is not just for the sake of having a national car, but as a catalyst for growing our engineering know-how and capability,” he said. 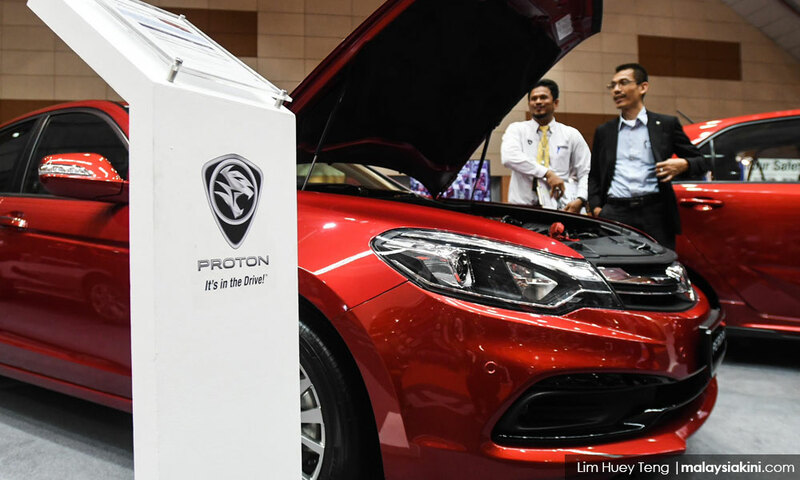 Proton currently is 49.9% owned by Zhejiang Geely of China and 50.1% by DRB-Hicom Bhd, a company majority controlled by tycoon Syed Mokhtar Al-Bukhary. 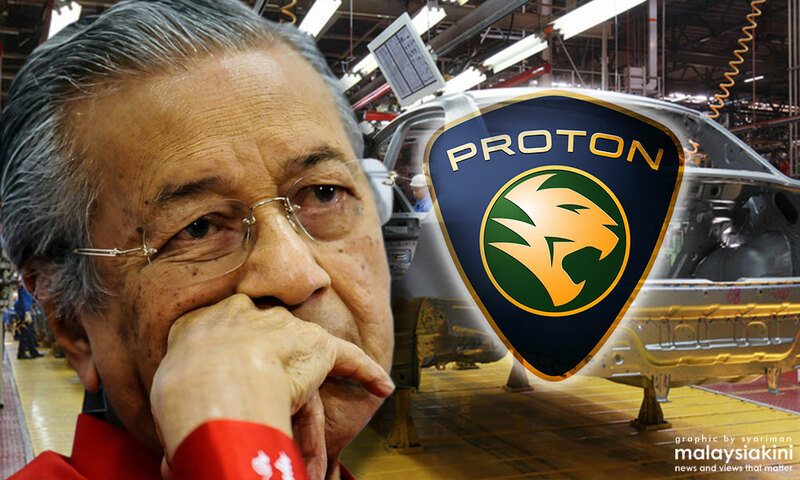 Mahathir is fond of saying that Proton had been sold to China which is not strictly accurate. His idea of a national car project is one where all technology is indigenous and Malaysian developed. That is fallacious and Proton’s failure before has been largely due to a poor product because of a lack of technological collaboration. The Geely deal is expected to provide Proton with a better product as well as manufacturing and distribution processes by tying up with a successful car company which Geely is. Thus, although China’s Geely owns a 49.9% stake, Malaysia through DRB-Hicom holds the majority stake and Proton is entitled to all tariff exemptions given to national cars. On top of that, Syed Mokhtar is still very close to Mahathir and during the latter’s first tenure as prime minister, the former benefited from many business deals with the government including power stations under Malakoff and rice monopolies under Bernas. If Mahathir’s crazy idea goes through, we will have a third national car project and Malaysians will have to wait a long time before they can pay lower prices for cars because now a third car project has to be subsidised via higher taxes for another long period of time. As a matter of urgency, one of the new policies of the Pakatan Harapan government should be to forge ahead with a phased rationalisation of the car industry so that there will be no taxes on cars. This was done in Australia several years ago. This article explains it in more detail. That helps to ensure that customers - that’s you and me - can obtain the best choice of cars available from anywhere in the world at the cheapest possible prices. And if that can’t be done locally, then let anyone import these cars from anywhere without any import taxes and without the need for the notorious approved permits or APs. Mahathir and former trade and industry minister Rafidah Aziz used APs to distribute patronage to government cronies, some of whom became billionaires as a result. If Mahathir needs any confirmation and advice that this revived national project will not be a success, he only needs to consult Jomo Kwame Sundaram, the noted economist who is on the Council of Eminent Persons. Way back in the early 1980s, when Proton was being pondered, Jomo’s view was that this project was bad economics and should not go ahead. Some 33 years later, the same economics still hold.